Harvard's Ernst Mayr, one of the architects of the modern Synthetic Theory of evolution and a historian of biology, points to one particular book that heralded the beginning of the new understanding and was more responsible for it than any other: Theodosius Dobzhansky's Genetics and the Origin of Species, published in 1937. It was Dobzhansky's first book, but he probably would never have found the time to write it if he hadn't been forced to spend weeks in bed after a horseback riding accident. A Russian immigrant who came to work at T. H. Morgan's "fly room" at Columbia University in 1927, Dobzhansky brought to America the innovative techniques developed by Russian geneticists before their science was crushed by the tragic madness of Lysenkoism. [See Lysenkoism.] Versed in the research problems of both field naturalists and lab men, he was able to make connections between the two approaches. During the first 20 years of the 20th century, Darwin's theory of natural selection had fallen out of favor among scientists. Many thought it insufficient to explain the origin of adaptations, while new discoveries of gene mutations seemed to them to be incompatible with Darwinian models of change. But in Genetics and the Origin of Species, as historian Bentley Glass put it, "for the first time, the profound signance of the work done in population genetics in Russia and Germany was combined with an expositon of the new neo-Darwinism stemming from R.A. Fisher, Sewall Wright, and J.B.S. Haldane, to produce what has been called the modern synthetic evolution." 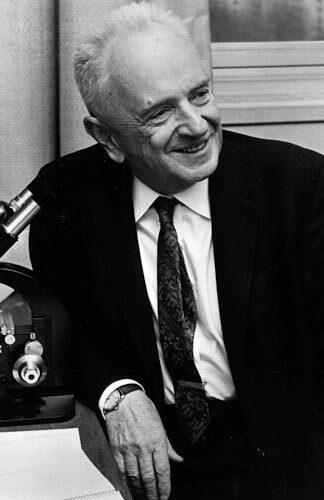 Dobzhansky's book was the first systematic overview view encompassing organic diversity, variation in natural populations, selection, isolating mechanisms (a term he coined) and species as natural units. Later, working with Sewall Wright, he went on to demonstrate how evolution can produce stability and equilibrium in populations rather than constant directional change. He was particularly fascinated with unraveling the multiple effects of a single genetic change (pleiotropy) and with the complex role of gene arrangement and chromosomal structure in producing evolutionary change. Never content with laboratory studies alone, he repeatedly stalked wild populations of fruit flies in the mountains of Arizona, New Mexico, California and even the rain forests of Brazil. Dobzhansky's intimate familiarity with the processes of variation and evolution in these fast-breeding insects also enabled him to apply his methods to understanding variation and change in human populations.